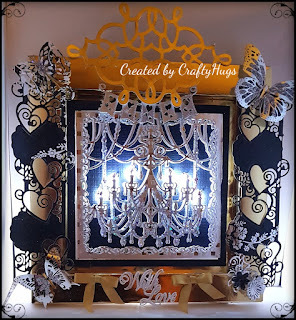 I created a box frame using Hunkydory gold adoreable scorable cardstock and used the score board and project book 2 to create the shadow box frame. 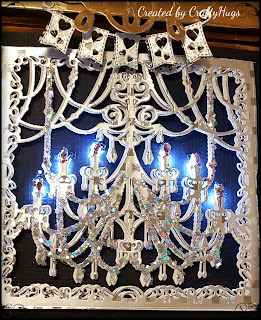 I cut out the chandelier die using white and silver mirror cardstock, I then glued until tacky and sprinkled Chloes stunning sparkilicious glitter on them. 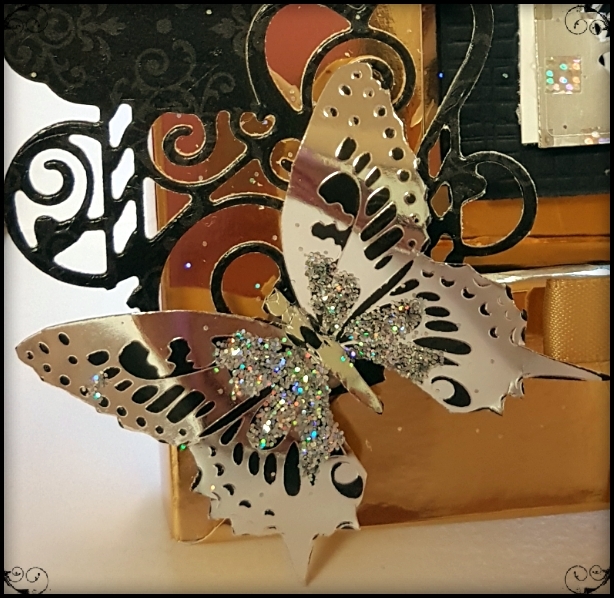 I used the white as a drop shadow behind the silver cardstock. I used black as a background so it would stand out more. Measured where the chandelier lights would be , punctured 6 holes and then fed the lights through from the back. 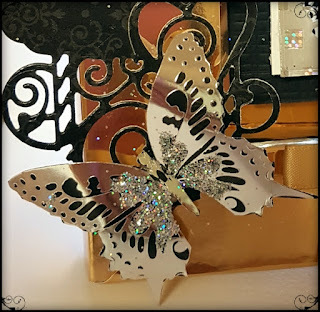 I then decorated the frame using flourishes and tonic strip dies for the sides and butterflies I cut out from card stock and glittered up. 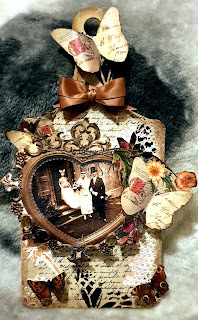 The flowers, sentiment and bows are from my crafty stash. Something a bit different but I like it. 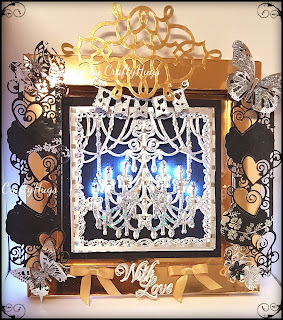 Wow what a gorgeous Chandelier Die and you have created a lovely project here with this die. Nice work. Thank you for sharing with us here today at World Wide Open Design Team Challenge and best of luck with your entry. 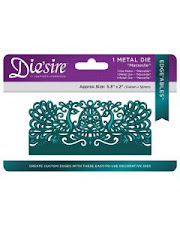 Great card. 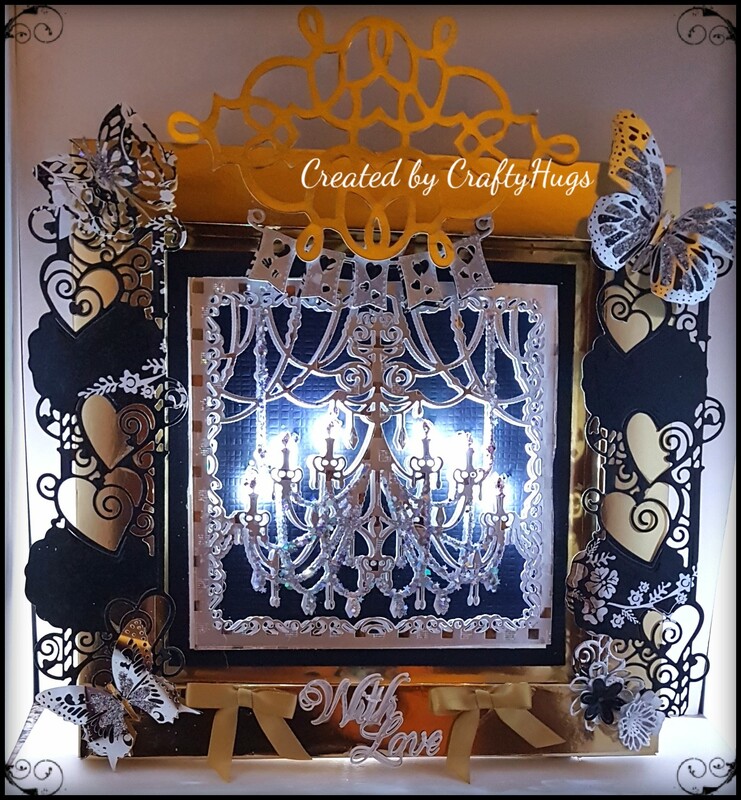 Thanks for sharing your creation with us at Crafty Friends, we hope to see you back again. 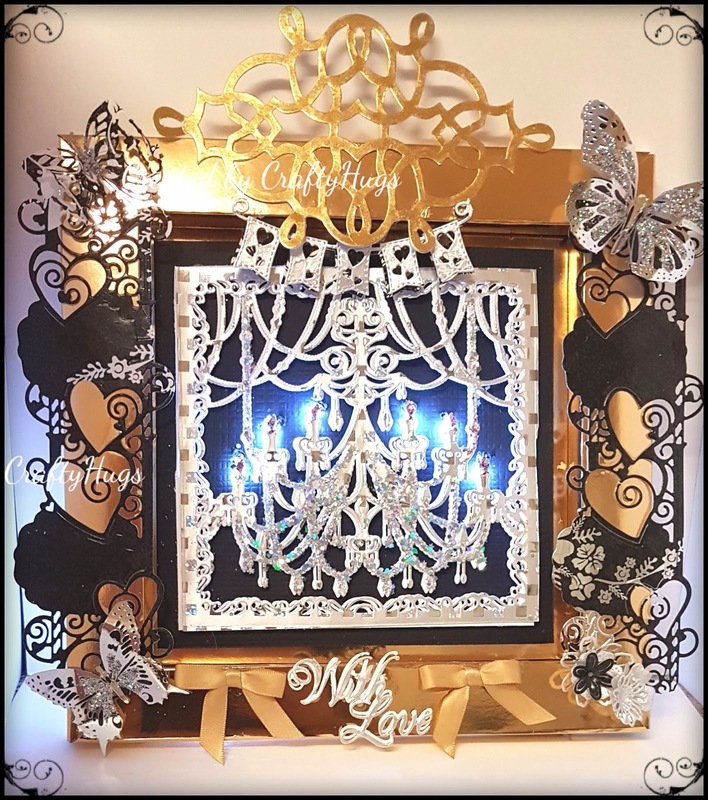 Beautifully done! I love all the detail on it and the lights are amazing.